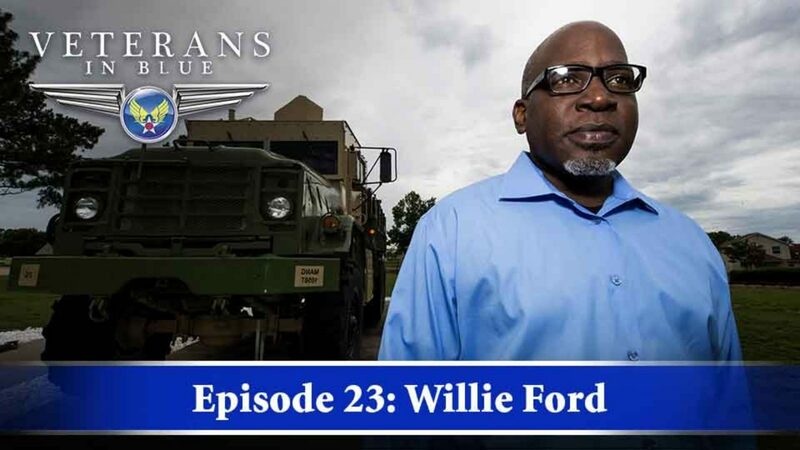 Willie Ford joined the Air Force in December 1991 when his small hometown in South Carolina couldn’t provide him the career opportunities he sought. Ford began his career working in vehicle operations, but later crossed trained and became a professional military education instructor. “It helped build character, it gave me a lot of confidence in myself and trust in others, trust in my own abilities and shaped who I am as far as leadership is concerned,” Ford said. The military gave him many opportunities and experiences he otherwise would not have had if he had stayed in South Carolina, and of all the places he traveled, he proclaimed the biggest highlight of his career happened at his first duty station in San Antonio, Texas. It was there where he met his wife, who was also active duty. This year, Mr. and Mrs. Ford went back to San Antonio and visited the spot where they met and the first apartment they shared to commemorate 25 years together. After 20 years of military service, Ford retired in December 2011. He currently works as a professional military education curriculum developer for the Thomas N. Barnes Center for Enlisted Education, Maxwell Air Force Base - Gunter Annex, Alabama. Veterans in Blue is a multimedia collection showcasing men and women who have contributed to the legacy of the Air Force.